Hilton London Hyde Park hotel has recently completed a £5.4m refurbishment, including a full revamp of its meeting spaces. Work on the 136-room hotel included a full revamp of common areas and guest rooms. Bedrooms are designed in line with the Edwardian history of the building, while catering to the needs of the modern traveller. Situated in the heart of London, the property is adjacent to two underground stations, connecting with three major London tube lines and multiple bus links. 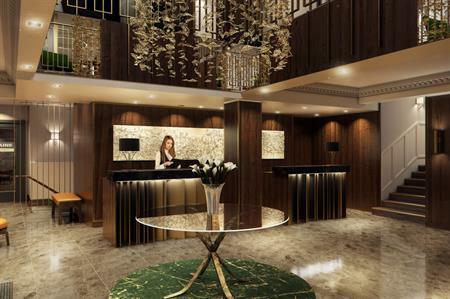 Harun Dagli, hotel manager at Hilton London Hyde Park, said: "The entire team is thrilled to be welcoming guests into our completely renovated hotel. We have always listened to our loyal guests and what they loved about staying with us and we learned that Hilton London Hyde Park is a top choice for visitors to London because of its iconic location, breath-taking views of Britain’s most famous park and its historic charm. The hotel has also redesigned its restaurant space and turned what used to be a tanning studio and hairdresser into the Aubaine Restaurant, offering al-fresco dining. The outlet, which previously accommodated only 75 diners, can now welcome up to 175 guests.